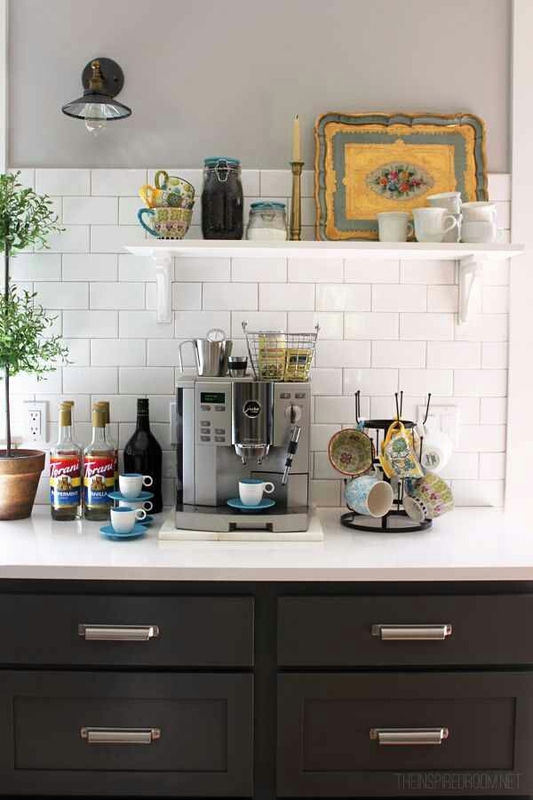 Maybe you’re not an alcoholic drinker but you do indulge in a daily latte, coffee or tea time. 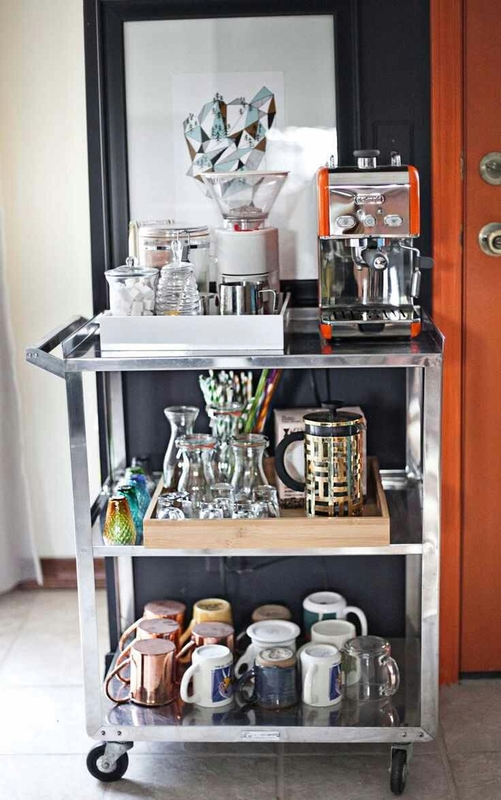 Those bar carts or small bakers racks can be repurposed as a coffee cart or station. I absolutely love this idea. It’s like bringing a hotel amenity in your own home. 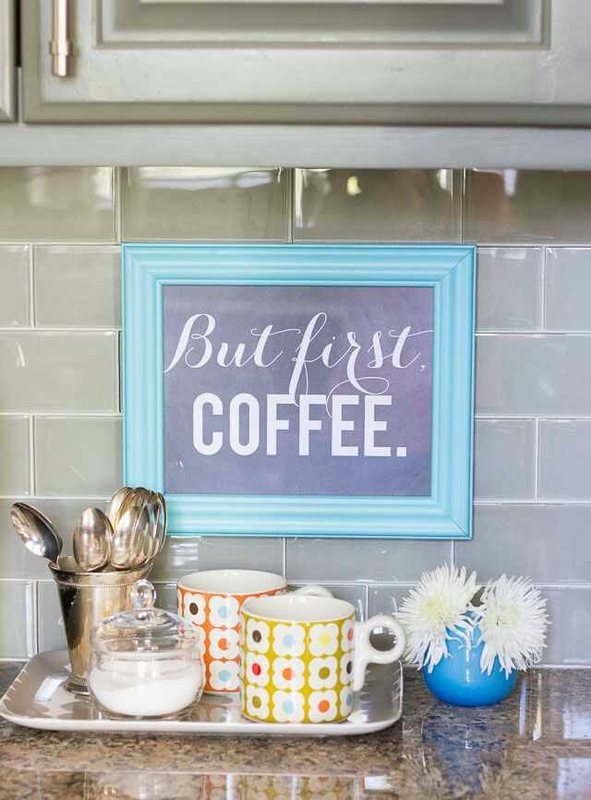 There’s just something so welcoming about coffee, cups and cream & sugar waiting for you to start your day. 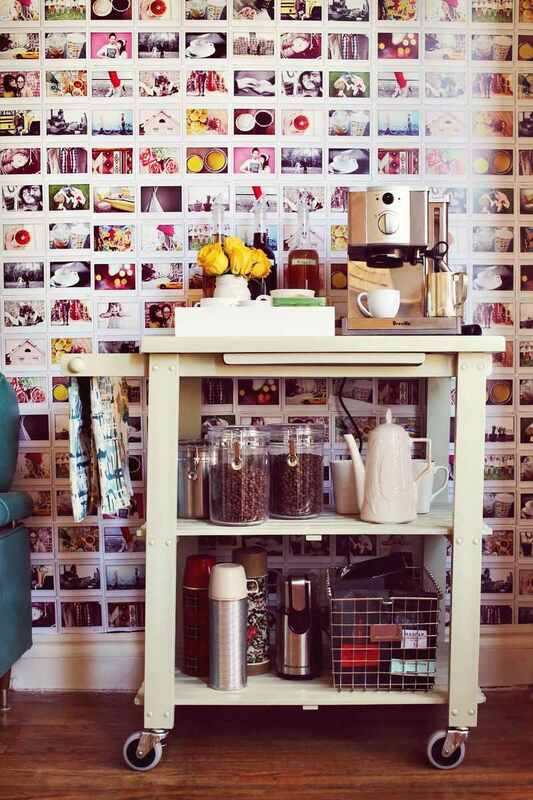 Make the station interesting with a picture wall. 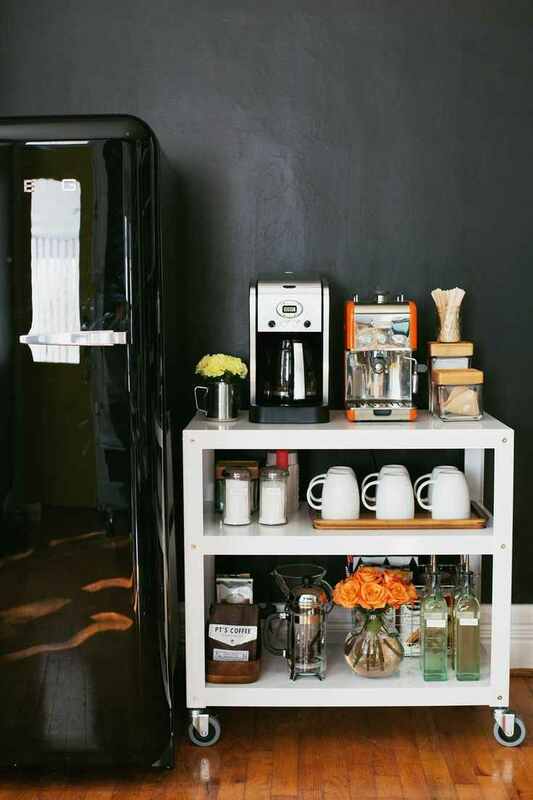 This is especially cool if you have frequent guests. Make sure to keep any to-go cups with lids ready for those long commutes…. 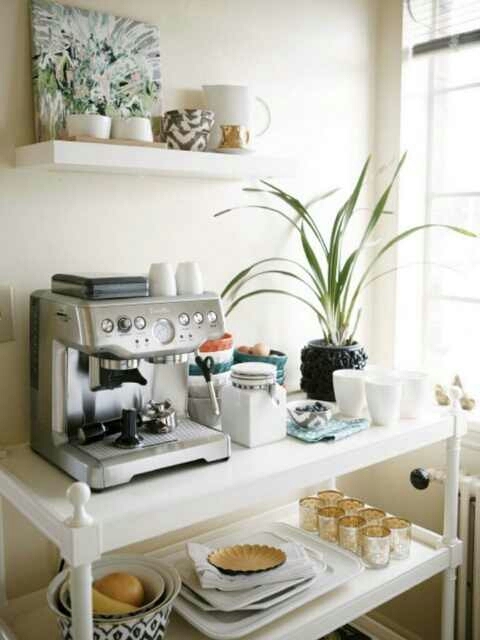 If you rather not have a whole drawer for it, simply buy a decorative tray and keep the sugar in a pretty container and creamers or tea bags in a clear vase. Put coffee beans in a small cup for aroma elements. 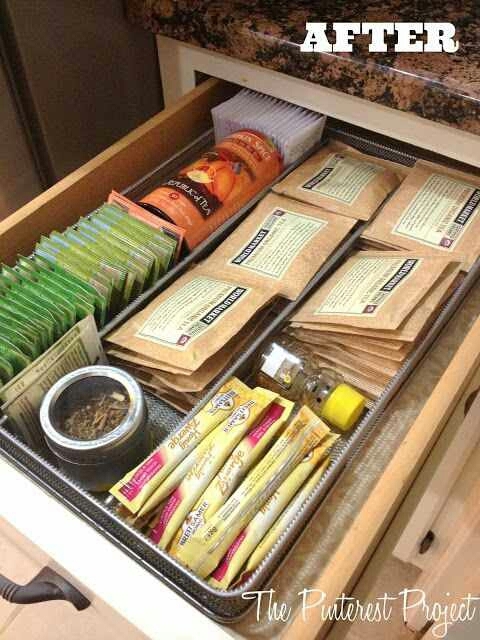 Keep straws, spoons and napkins on the tray for a funcional area to start your day. Happy drinking! I really like the first one, because it looks like an IKEA Hack.